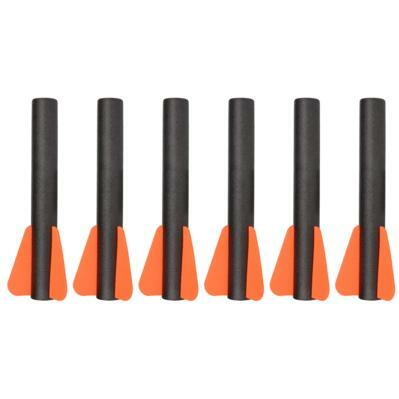 The question of rifled Nerf barrels comes up from time to time - since Nerf darts (especially the Elite and Mega darts currently on the market) have issues with erratic flight at medium to long range, there is always the desire to fix these accuracy issues. Since many Nerf barrel attachments have rifled grooves (for cosmetic reasons only, since the faux barrel is too wide to do anything useful), modders have wondered whether grooves in a real barrel would have an effect. Generally speaking, there hasn't been definitive proof of rifled barrels positively affecting dart flight. The first major authority on the subject would be Ben Trettel, a.k.a. Doom from the NIC. This blog post explains why rifling hasn't been shown to help darts. 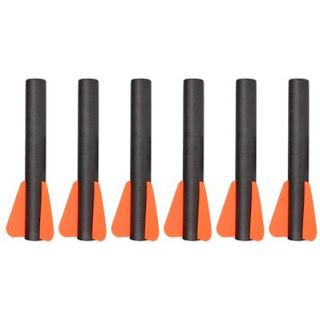 Basically, darts are generally already stable in flight because they are weighted more toward the front, and the center of pressure sits behind the center of mass. At most, there have been only anecdotes in support of rifled barrels. Quite simply, it's easier to fix the dart's mass and drag issues than it is to achieve spin stabilization. But what about larger ammo, or homemade ammo? Nerf arrows, Demolisher rockets, and Titan missiles all use spin stabilization. However, these are all very lightweight for the volume they take up. Since an increase in mass would decrease ranges by a significant margin, the extra drag from spin stabilization is an acceptable tradeoff for stable flight. Meanwhile, the foam backer rod used for stefans isn't always straight, especially for the larger sizes. This area will be the focus of my current experiments. 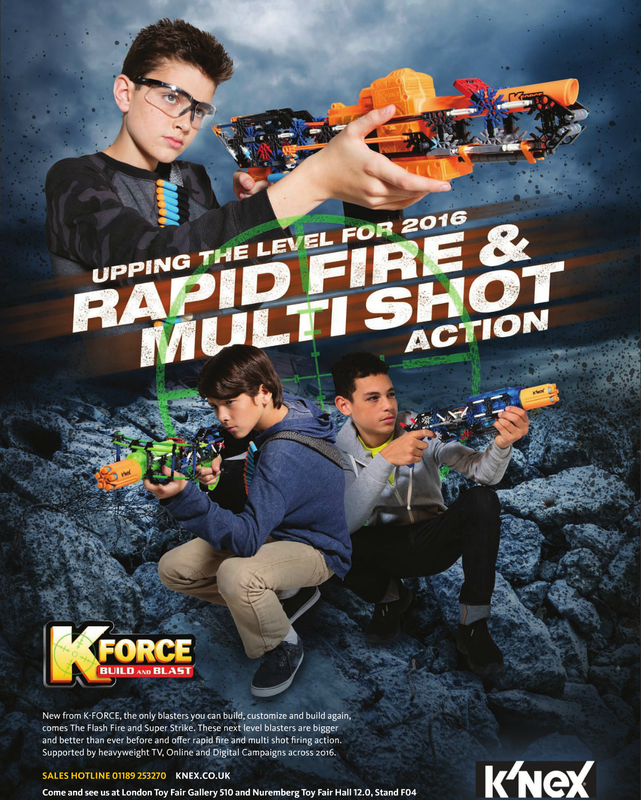 Thanks to perusing various toy industry magazines and sources, I've come across information about upcoming K-FORCE blasters. Remember how, among the NIC, we complained that all the models, regardless of size, were just Jolts mounted on frames? Yeah, that's changing. Click to enlarge, THEN right click to open image in new tab. The full picture file is actually quite large. 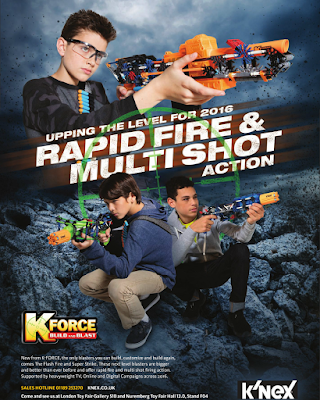 Among the new blasters to be introduced at the London Toy Fair later this month are the Super Strike, a revolver-type blaster holding five darts, and the Flash Fire, the first K-FORCE clip-fed blaster (holds ten darts). There is also a K25X Rotoshot featuring "all new rotating blasting action", whatever that is supposed to mean. It will be interesting to see exactly how these blasters operate. The clip-fed blaster would appear to be some kind of flywheel blaster. I see no plunger tube behind the orange casing, so I assume this would operate like a Stryfe. Only you physically make the dart pusher. The revolvers, meanwhile, appear to still have space for a priming rod, like previous models. 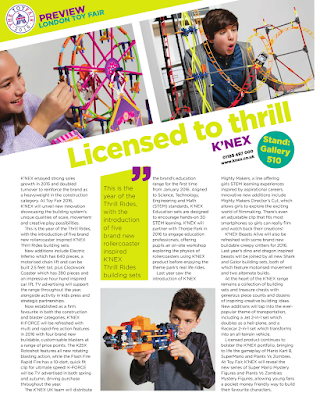 By all appearances, sales of K-FORCE items have gone well. 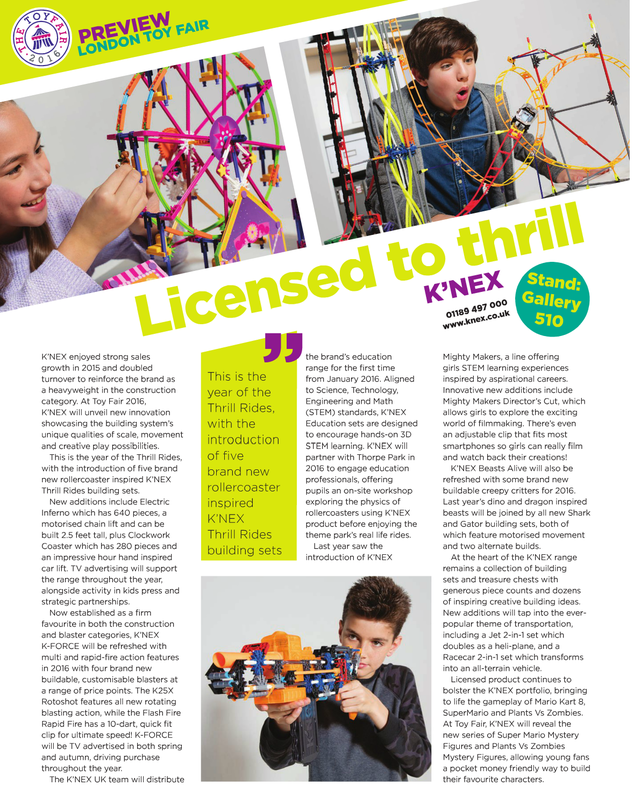 If we're lucky, maybe K'NEX had the foresight to allow compatibility with Nerf clips. Time will tell! During my New Year's trip to Canada, I stopped in several stores to see the inventory. I ended up seeing several interesting things at ToysRUS, including the new Xshot clip blasters. I had to pick up at least one for experimenting!